The Paris of Ilya Ehrenburg knows no Louvre or Notre Dame and shows the Eiffel Tower crouching behind shabby facades and building timber. The Paris in which the Russian revolutionary lived from 1908 to 1940 was a place in which completely normal people with little money and hope struggled through life. 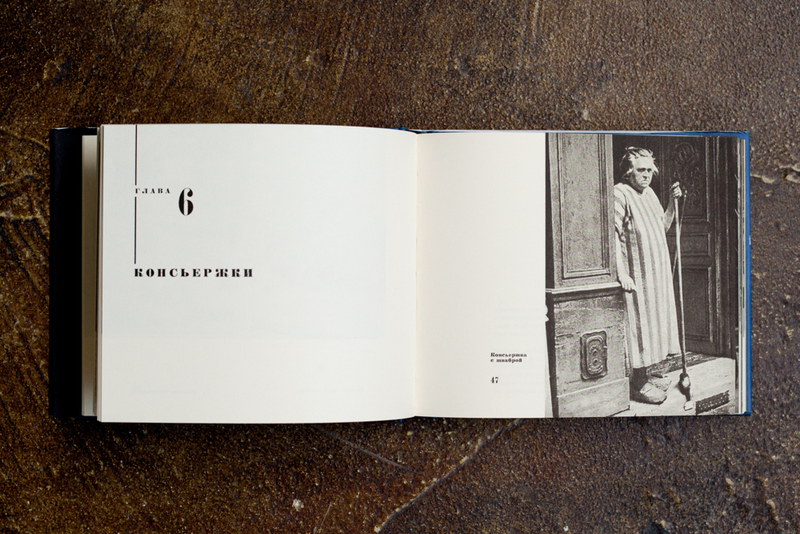 Ehrenburg photographed them at their doors and in cafes, at work and at rest, in their poverty and dignity, and wrote brief texts that describe them. My Paris is an impressive work of photographic social reporting, presenting portraits of the elderly and the young, workers and outcasts, standing in stark contrast to the glamorous Paris of so many idealized representations and memories. 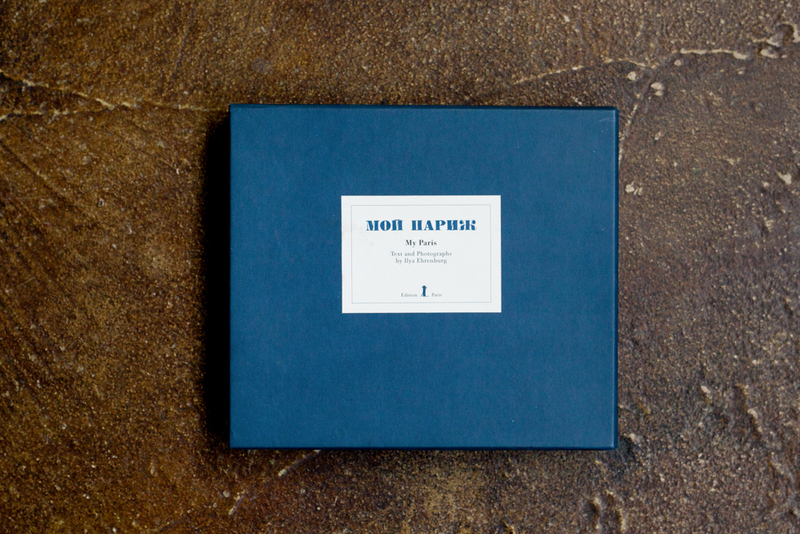 Originally published in Moscow in 1933 with an exceptionally clear typographic treatment by El Lissitzky that lends a gentle rhythm to the book, Moi Parizh / My Paris is an extremely rare object, presented here anew as a reprint. 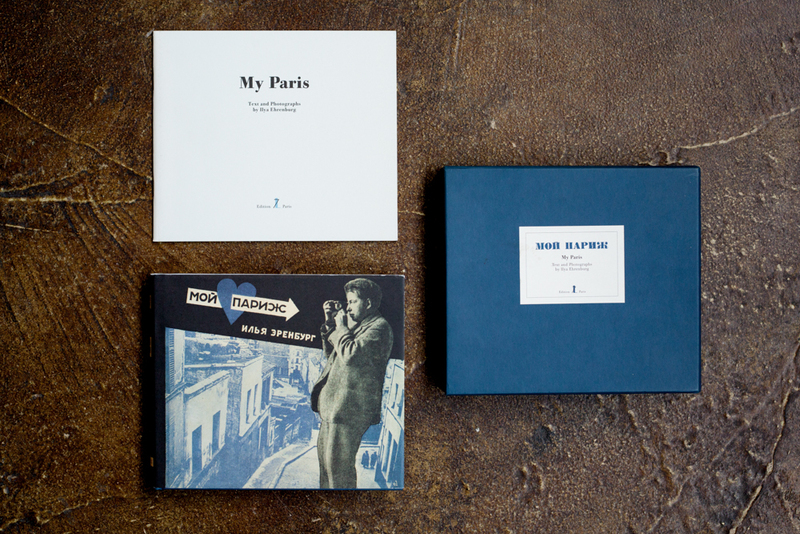 My Paris is an impressive work of photographic social reporting, presenting portraits of the elderly and the young, workers and outcasts, standing in stark contrast to the glamorous Paris of so many idealized representations and memories.